Before Sept. 11, generalizations and vague ideas of foreign policy satisfied the average American’s curiosity about Middle Eastern culture. But since the devastating attacks on the World Trade Center and the Pentagon, interest in these subjects spiked dramatically, prompting a frenzied media search for quick answers to America’s questions. Unfortunately, watching the news for information can be an exercise in futility. Sometimes, the televised coverage is just a bunch of talking heads, one of whom is invariably a dubious Tom Clancy-type “expert,” spouting wild speculations on the topic at hand. For those seeking a more in-depth look at terrorism in general and Osama bin Laden in particular, Holy War, Inc.: Inside the Secret World of Osama bin Laden provides a smart, well-written account of recent history and current events. Books written before the attacks, however well-written, often seem incomplete to current readers, and those written entirely in the aftermath come across as reactionary, written and printed too swiftly to retain credibility. Holy War, Inc. surpasses the competition due to a combination of literary skill and timely coincidence. Peter Bergen, a CNN terrorism analyst, researched and wrote the bulk of his book before Sept. 11, and edited and published it afterwards. Originally intended for a summer 2002 publication, Bergen’s carefully crafted book endured an extensive and hurried revision process for publication in November 2001. This process results in an understandably rough-edged book with a few repetitions, but still a well-researched, informative project that clarifies more than it muddles. 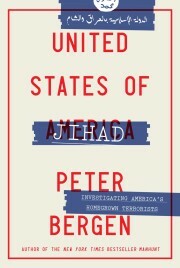 Bergen portrays al-Qaeda as employing highly effective mix of modern methods and archaic ideals, “21st century communications and weapons technology in the service of the most extreme, retrograde reading of holy war.” He explores a number of meaty topics, such as tensions between bin Laden and the Taliban, and the “privatization of terrorism,” a slow but steady shift from rogue nations to rogue individuals. U.S. foreign policy in Afghanistan during the war against the former Soviet Union falls victim to some harsh criticisms, and Bergen refutes the popular myth that the C.I.A. directly supported bin Laden during this conflict. The reality of the connection is far more complicated than a mere blunder or a ridiculous lack of foresight, and the deft manner in which the author illuminates the relationship between an American intelligence agency and an extremist rebel leader is typical of his thoroughness. Bergen draws from many sources to support his arguments and tell his story, lending his work an unparalleled credibility. Bin Laden’s inner circle is indeed a “secret world,” and a glimpse inside promises intrigue. He also poignantly recreates the world of war-battered Afghanistan, both its sadness and its absurdity: “It promises mystery, a movement back into a time of medieval chivalry and medieval cruelty, an absence of the modern world that is both thrilling and disturbing.” Holy War, Inc. includes more than a few brilliant descriptions, worthy of the best travel literature. Bergen also employs much-needed notes of humor, which vividly illustrate his anecdotes. Sadly, this lyricism fades during the last third of the book, and Holy War, Inc. eventually reads like a laundry list of terrorist groups, leaders and plots in assorted countries, which will start to run together for all but the most attentive reader. Those with a particular interest in bin Laden and al-Qaeda will be better informed for having read Holy War, Inc., but most have likely heard much of its information before, although probably not in such a coherent manner. It is, however, unfortunate that global events and Bergen’s personal experiences could not have been more carefully balanced in the book, although this problem is understandable due to it’s hasty editing process. The author’s accomplished prose and sensitive awareness of the world around him could be molded into something even better than what Holy War, Inc. has to offer.